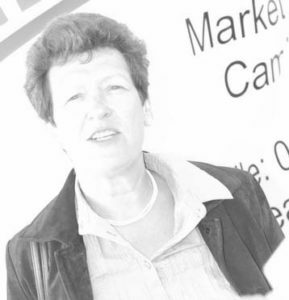 This is a lovely little short story and a nice introduction to May Keaps, the heroine of the piece. May is an ambulance driver towards the end of the First World War. She’s stationed at the front right in the thick of it all and seeing some horrendous sights for a 20 year old, as you can imagine. She finds herself embroiled in a potentially dangerous situation and the story really works well and has a nice bit of intrigue for such a short read. I spent a pleasurable half an hour or so reading this story. I liked May and can see great potential for her in future books, including the upcoming Foul Trade. I think she’ll be just as feisty and brave in that book as she was in this story. 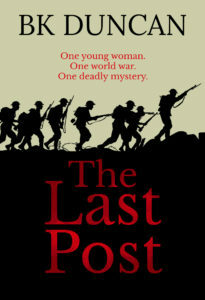 The Last Post is available as an ebook and is free to download so go on, get yourself off to Amazon and give it a go. You won’t be disappointed. 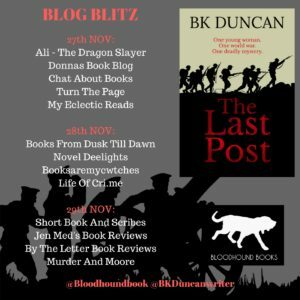 And do please have a look at the other blogs taking part in the blitz.